Use sharing to make a file or directory publicly visible to the world. With the file open, click the info icon , then in the menu that drops down, click Share. After either of these steps, you can see the “Share” dialog. You may enter a description for the file being shared, then click Make item public and your file is shared. After clicking Make item public as above, the public URL will be displayed under Shared publicly. You can click the button to open it at the share server. With that link, your file is available read-only on the CoCalc lightweight share server. 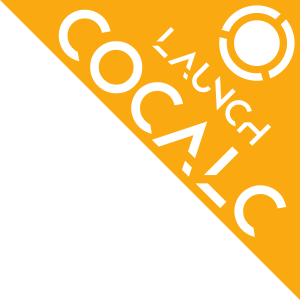 A CoCalc login is not needed to access files on the share server. Files on the share server are indexed by Google unless you click the checkbox next to “Unlisted: Only allow those with a link to view this.”. Log into CoCalc and open the project link to a shared file. Open the Files list for the shared project, i.e. in the tab for the shared file, click the Files button at upper left. Click Copy, then under In the project, select the destination project and under Destination select the destination folder for the copy of the shared file. Note that, unlike URLs for the share server, the project containing the shared file must be running for project URL’s to work. Since it can take several seconds for a project to start running, this can introduce an additional delay when viewing such files. If your document depends on auxiliary files (e.g., images embedded in a markdown file) make sure these auxiliary files are also published. A convenient way to do this is to have auxiliary files in a common folder and share that folder. Serving raw files: you can host arbitrary html, etc. through the share server. Files can be viewed in “raw” form, i.e. without CoCalc controls, by opening in the share server and clicking “Raw” at upper right, or by removing the parameter setting ?viewer=share from the share server URL for the file. If you would like to collaborate and chat with other people on documents in your project, go the Project Settings tab and “Add people to project”.